Can't find what you looking for? 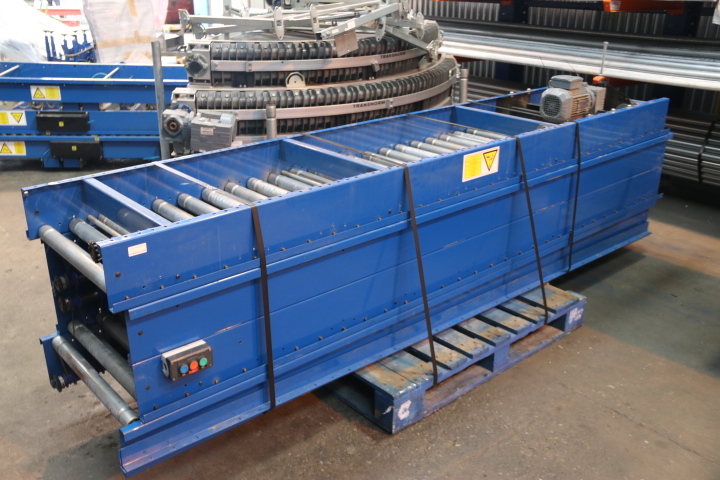 View our Newly Manufactured Lineshaft Powered Roller Conveyors! We can offer lineshaft conveyors in various configurations, with a range of ancillary options. 150m straight section in various sizes including drive units. 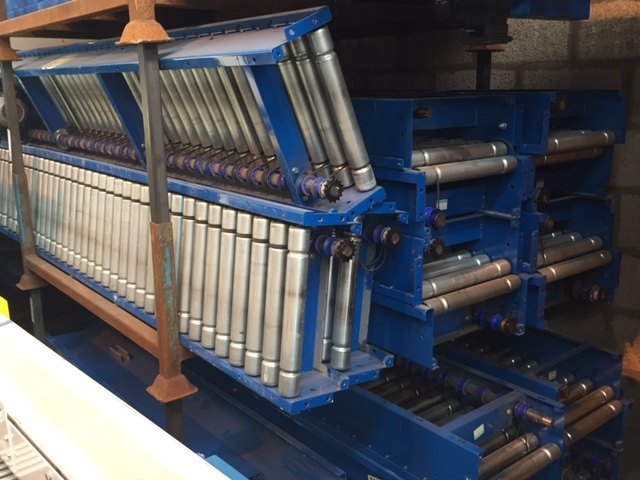 If you are unsure about any information or requirements for our used powered roller conveyors, please feel free to contact one of our sales representatives for more information. 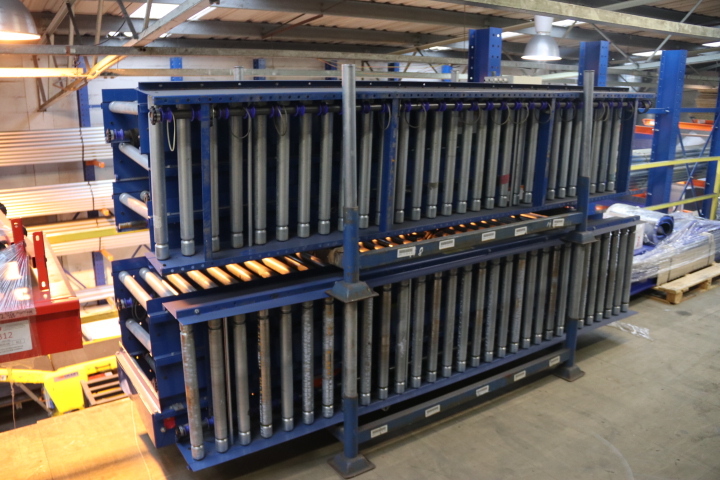 Prices* quoted are 'track only per meter', in most instances used lineshaft conveyors will require; drive units, support stands, guards, basic or advanced electrical controls and ancillary equipment, which will be quoted to suit your preferred layout. All our used powered roller conveyor systems have standard pricing for mechanical parts and accessories, due to the nature of these modular conveyor systems and the varying layouts achievable, we will quote you on a case by case basis. 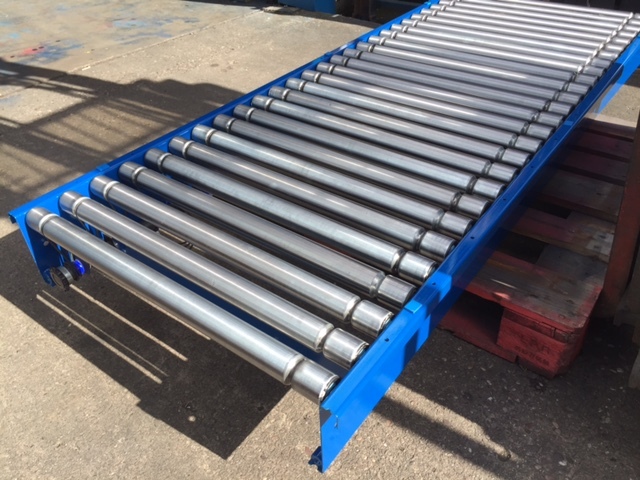 We can re-quote any used lineshaft conveyors to suit your required specification, with regards to electrical controls, pneumatic controls and additional fabrication. We can also offer reconditioned lineshaft conveyor systems, with equipment warranties to match that of new equipment.